Invitations, adult reptile party invites, Melbourne, Victoria. 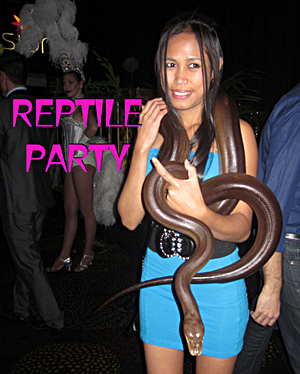 Tell your friends, colleagues or corporate clients you are getting Snakebusters, Australia's best reptiles and having Melbourne's only hands on reptiles party, at YOUR venue! Several Options available ... use your favourite! Top six images, click the one you want, print and use. 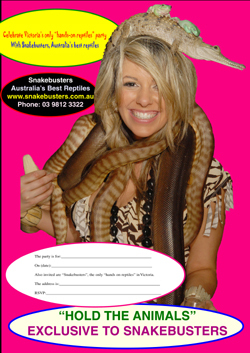 Kids party invitations - click here! 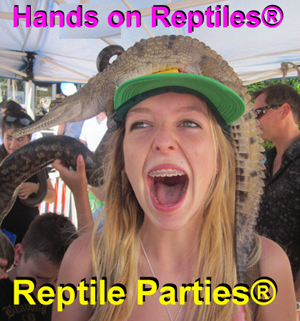 Frequently asked questions (or questions worth asking if shopping around for a reptile show for your function, reptile party for kids, school or event). 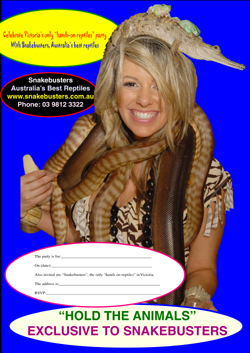 Copyright Snakebusters, reptile shows, kids parties Melbourne, adult education Victoria, snake displays and wildlife exhibitions. All rights reserved.